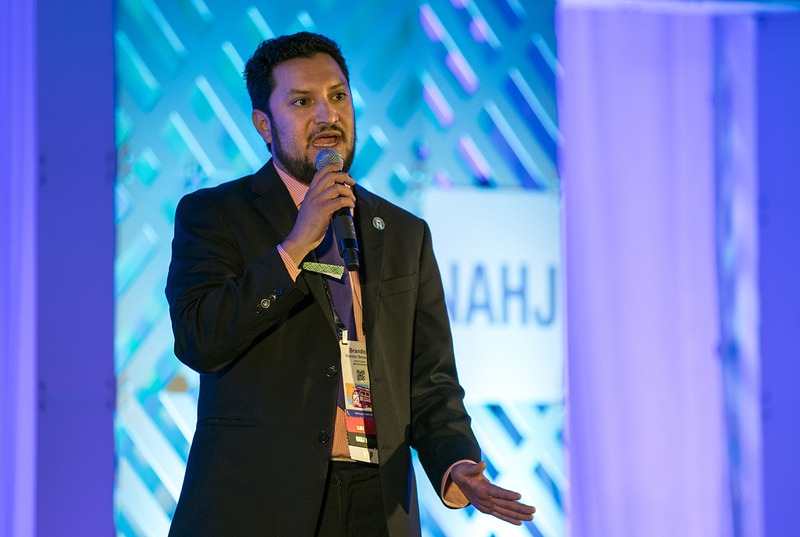 National Association of Hispanic Journalists board members have issued a policy prohibiting romantic relationships between organization mentors and students, weeks after opening an investigation into allegations of misconduct. Student Project members and mentors were emailed a copy of the policy late Monday morning and asked to sign it before this year’s conference, which begins Wednesday. The policy was later sent to all NAHJ members. The new fraternization policy applies to any activities and workshops involving students. It asks students to report any pre-existing relationships with a mentor to their supervisor. It was unclear when the measure was passed. Board members were slated to meet on Wednesday. Monica Rhor, who has led the Student Project in recent years, said she received a draft of the policy on Sunday, and she was unsure if such rules had been previously laid out in writing. She said the rules outline guidelines that mentors and students are routinely given in person. The board announced on June 22 that it was opening an investigation into “an allegation concerning misconduct by persons associated with the National Association of Hispanic Journalists which occurred a number of years ago.” A day earlier, a lifetime NAHJ member had raised similar concerns, and called for an investigation, in a Facebook post. David Plazas, who was a mentor for the 2010 Student Project, said in an email that he became aware of an inappropriate relationship between a mentor and a student that year. He said he served as project leader or co-leader in 2012, 2014 and 2015 and had no misconduct complaints registered with him in those years. The situation in 2010 was handled by Mekahlo Medina, the project leader, who reported it to the board, Plazas said. He said he has no “first-hand knowledge” of the ongoing investigation. Board President Brandon Benavides said he would not comment on the new policy or the ongoing investigation. “Our desire is to safeguard due process for the investigation. For that reason, we cannot comment on the investigation while it is going on,” Benavides said in an email last week to the Latino Reporter, adding that the goal is for a “timely” investigation. He would not specify a timeline. A special committee, working with legal counsel, was created for the investigation, Benavides said. In the email announcing the investigation, organization members were asked not to comment about it on social media. NAHJ executive director Alberto B. Mendoza had no comment. NAHJ student representative Daniela Ibarra said, “I am proud that the board did something for the students in the Student Project to make them feel safer.” Two other board members said no comment or deferred comment to Benavides. Rhor, who is co-leading the Student Project this year, said she had not heard any allegations of misconduct. But when she learned of the Facebook post, she and other mentors sent an email to the board requesting an investigation. She said she hadn’t seen Contreras’ Facebook post. “The Student Project should be a safe space for students where they can learn and grow and feel supported,” Rhor said. “I don’t want anything to interfere” with that. Editor’s note: This story has been edited by Maria Carrillo, an assistant managing editor with the Tampa Bay Times, who has not worked with the Student Project prior to 2018. Correction: An earlier version of this story incorrectly referenced Russell Contreras’ status as a NAHJ member. ← Luxury housing is increasing in Miami. So is homelessness.